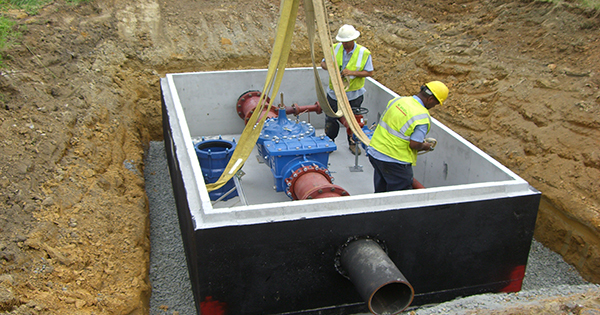 Water Distribution | Site Work | W.C. Spratt, Inc.
W.C. Spratt, Inc. of Fredericksburg, VA is ready to tackle any size water distribution project. We have worked on projects ranging in size from 3/4” to 42” and length from a single 30 foot house service to a single project comprised of over 14 miles (74,000 feet) of water distribution. We are prepared to tackle all appurtenances, connections, testing and restoration as well as projects comprised of water storage tanks, pump stations, chlorine application systems and much more.